"One of our staff visited a Chevy dealership to confirm that the new Camaro’s MP3 connectivity kit worked great with production Zunes. The test was very successful - and this culminates a considerable amount of work with both GM in Detroit and their supplier in Korea to ensure a great user experience." Brian Seitz tweeted this earlier today and it is really exciting news. 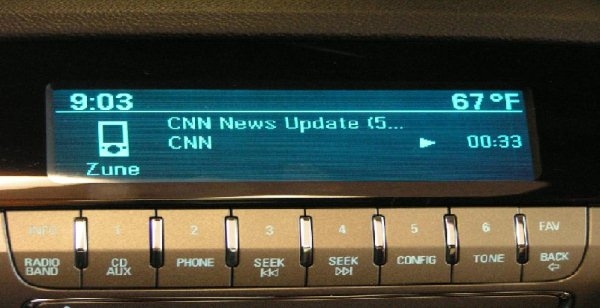 I'm pretty surprised actually that any car would come standard with connectivity for the Zune. Let's face it, the iPod is so ubiquitous that it makes sense to have standard support for it. But I won't complain! It seems some 28 GM models will be supporting this which isn't surprising since many GM cars share audio components. But let's not overlook the best part of this. Its the Camaro. I currently own a red 2002 Camaro and I've always been a big fan of the American muscle car. I'm very seriously considering getting a 2011 Camaro next year and this is just icing on the cake. And hey, if Bumblebee prefers the Zune, everyone should!